These elegant plush velvet gift cases are ideal for presentation awards, graduations, births, weddings, or military officer ceremonies. 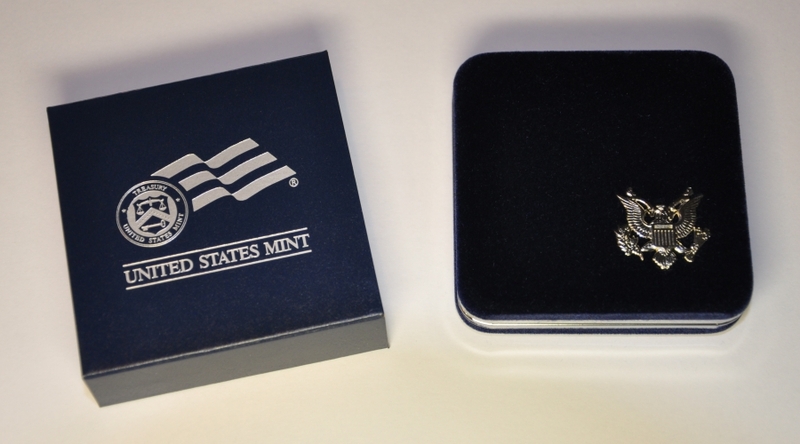 This gift case is officially produced by the United States Mint and is dark blue velvet with a white satin lining. 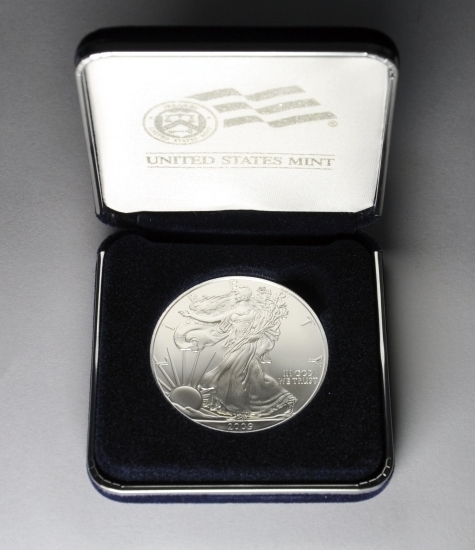 The cardboard sleeve and satin lining are embossed with the official United States Mint logo. Please note that this case is sized for an American Eagle Silver Dollar only. World silver coins or other silver dollars may not fit correctly in this case. IMPORTANT NOTE: The deluxe velvet case will NOT hold a coin with an air-tite capsule. The coin fits directly with no protective capsule.